Easter can be one of those holidays that brings the “Big Time” pressure. How big is your kid’s basket? What did you put inside? Are they wearing the “proper” church attire? The endless checklist that must include white eggs and lots of food dye. Don’t get too commercial about the holiday. Focus on “Jesus is the reason for the season.” How on earth am I to get a family to be dressed in their Sunday best while they’re stuffing their faces with chocolate? I’m mean, come on. We’ve all been there. Dealt with these standards I’m not sure who started. I can’t say much about good riddance to them since I hold myself to most of them. Having grown up in a home where Easter was more than just that the bunny had arrived at our house but held a special significance with our faith, I saw my mom maintain the exhausting state that trying to do it all can have on a mom during a major holiday. Yet, I do it all just like so many of us, because I want them to experience the fun without loosing the importance of the faith. When I first got married, my mom gave me a book full of family recipes she had collected over the years. Many that I had consumed while at her kitchen table. She included the below recipe I’m going to share with you today. At the time when I browsed through the book, I was unsure of why she included it. Then I had children. We first tried this recipe when our oldest was 4 years old. We performed each activity together and at one point, she broke down in tears. I didn’t realize the impact it would have on our little girl but the point of making the cookies was received. We do it every year now and with each child that has been added to the family, there is an age appropriate activity that they can perform. We’ve read the Bible story, held each Resurrection Egg, read countless Easter books, but nothing moved them to understanding what Jesus went through as much as this had. It’s a solemn thing to do as a family together and one that doesn’t require hours. Because who has that on the weekend of Easter?! What’s your favorite Easter tradition? Preheat oven to 300 – to not skip. Fold in the broken nuts from the ziploc bag. Family is rare in this city and more so those that love each other. The above statement made me realize that I have memories tucked away in corners that rarely are visited upon. So, with time on my hands as the baby sleeps, I eat my lunch and visit. Retold for my Grandma B who is always tenderhearted. My Mom who gave all her wisdom to me. My Aunt D who taught me how to laugh. ~ It’s a warm spring day and my mother has decided to share the day with her own mother over lunch. We pile into the brown Suburban and find ourselves weaving through the back woods of Rhode Island. Lunch at Grandma B’s house is no small thing. There’s always something on the stove cooking and egg biscuits with colored sprinkles in the jar. She greets us at the door with wide open arms. Immediately, the smell of parsely, garlic and olive oil greet us. But the most distinct smell is that of artichokes. Today will be a good day. We gather around the long oval table. The sun’s rays pour in through the french doors. The table is lined with the week’s newspaper, each place setting has a bowl and a napkin (maybe more) and warm loaf of homemade bread sits in the middle of the table. Artichokes aren’t for everyone and so the only people around this table our my grandmother, mother, mentally handicapped aunt and me. The conversation around the table is about the day, what’s growing in the gardens, and what is going on in our big Italian family. There’s a flow to the conversation as we scrape the yummy bits of artichoke leaf and throw the remaining on the table. There are no manners while eating artichokes. The only utensils being used are our fingers and no one cares if you talk with your mouth full. However, there is a certain point at which the table becomes silent. It’s a rare thing around an Italian table but when a person reaches the heart of the artichoke…it’s a sacred moment. Especially, for the person who reaches it first. This time it is my aunt. The juices are flowing down her hand in golden hues and as she takes a bite, the table erupts. …As I sit today at my own table, having my own artichoke, cooked to perfection just like my grandmother would have done (“Katie, you can never have enough olive oil”). I sit and reminisce about those moments. There aren’t many things these day that bring together generations that love the same thing. These are the women I broke bread with and will forever love the memories they hold, the stories that were told and the lessons I learned from these woman. My girls had to say good-bye again to friends this weekend. They had a final day playing together on Friday. There was a not peep out of them while all 6 kids played so kindly together. As the day came to a close the hugged and waved their final goodbyes on the sidewalk as the car whisked their friends away. It’s not the first nor will it be the last. We walked inside and they all had a good cry in the foyer – all huddled around their mama. Sometimes we forget that this transient city isn’t just full of people but those people have families with littles. That those littles have other small littles they call friends and that moving is hard. We have experienced more loss of friendships in the past couple of years than ever before. Yet, how do I as their mama, instill friendship, love, and vulnerability in a town that will constantly let them down? Other than role modeling for them, I’m not sure what the answer is. But I keep on putting myself out there, risking my comfort zone, and choosing love rather than fear. Whether or not they notice, it’s something we can talk about too. I can share from my scared and lonely place about what I’m trying to do in hopes that it instills in them a similar risk-taking. I’ve noticed about all else, that all that sharing is helping to continue to form friendships I have with my girls. That when they are older and grown, all these conversations will have founded a friendship they’ll want when they’re all older too. And doesn’t it come down to that? Raising children and then being able to experience life with them as friends. My friend, Shawna, started Not The Former Things awhile back and it is supplying knowledge and connection where so many families felt on the outskirts – unaware and lost. She’s amazing and I wish you all could meet her. For me this is just another day to be vulnerable and share from another part of my heart – motherhood. It’s a constant learning tool and one that keeps me close to Jesus. Especially, when it involves learning disorders for this homeschooling mama. Guest Post – My Daughter’s Critcial Processing Disorder, Mojitos, And Embracing Grace. I’m so excited to share this article from Darling Magazine. When I was asked to submit ideas for the summer to my editor, my research found this woman and her rather quiet and unknown life. I was so excited when my editor approved the story. Hours of research to make sure details were accurate and thoughtfully chosen words has led to this special piece for me. I really fell in love with her legacy, especially when I found she died early from life from an overdose of sleeping pills. What pain and grief caused this in her life? Or was her death from a military’s secret mission? Found out more about her life below. Lady of Legacy: Gertrude Bell. A time of rest and fun, steeped in rich family traditions. 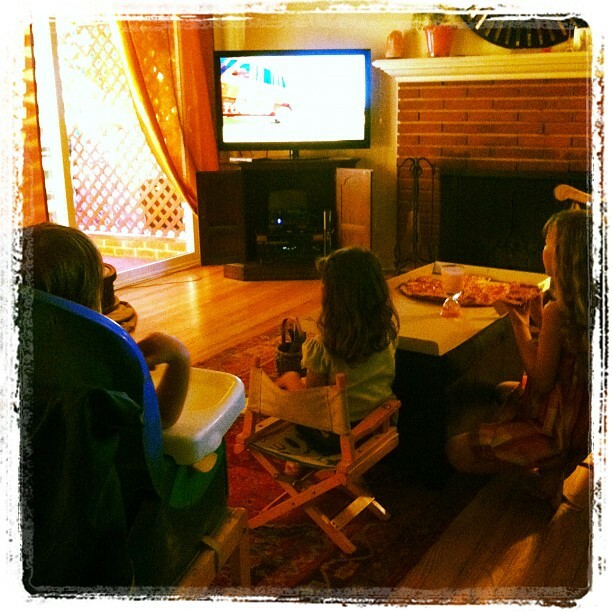 One of them being, Friday night pizza in living room with a funny family movie. No plates or utensils – just our hands. The crumbs fall to my favorite rug and I shrug it off or the greasy hand stains get on the couch but thank God for microfiber. We welcome the weekend with dance parties too. Pump the music loud, let down our hair and just get crazy with the kids. Why are these times so important? Is it due to the food that most of the rituals revolve around over the course of the weekend, the family bonding that happens because of it, or the memories that will last a lifetime? In a town where “family” is rare, misunderstood or even forgotten about, it’s important for my family to have moments where we all come together and treasure each others company. Because life isn’t easy. The constant ups and downs of projects moving forward or slowing down, the challenge of raising and providing for a growing family in one of the most expensive cities in the world, carrying the burdens of friends, late nights and early mornings, mean that sometimes the important things get forgotten about. But if you forget the most important things, you forget what matters most, and then what do you have? So when the whole family is dancing like crazy monkeys in the living room to Katy Perry’s “Firework” on Friday night with the curtains open for the whole world to see, it’s a sign that we are leaving the week’s problems at the door and stepping into a different atmosphere. Laughter rings loud, sun-kissed faces glow, and our hearts are full. While this might not happen every weekend due to work (or, like this weekend, social) schedules, the point is that it is set in motion. We always fall back to it and work really hard to make sure that it is maintained. It’s about moments and memories. Because let’s face it — what’s more important than dancing like crazy monkeys as a family? I really can’t think of anything else.